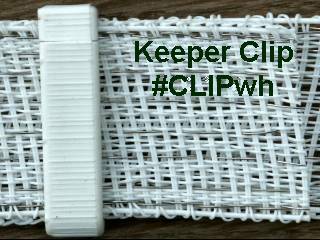 It joins 2 ends of tape together, ensuring good electrical contact between all the stainless steel threads of the tape, avoiding the sparks created by voltage differences. 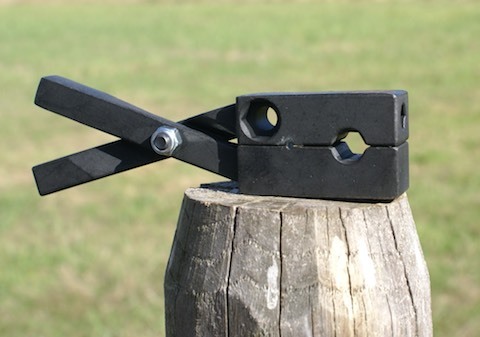 If you notice any areas on your tape that spark, cut your tape and install a splicer buckle. 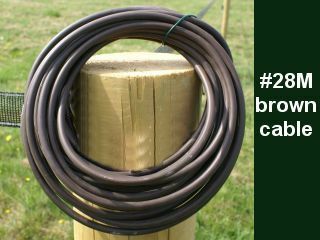 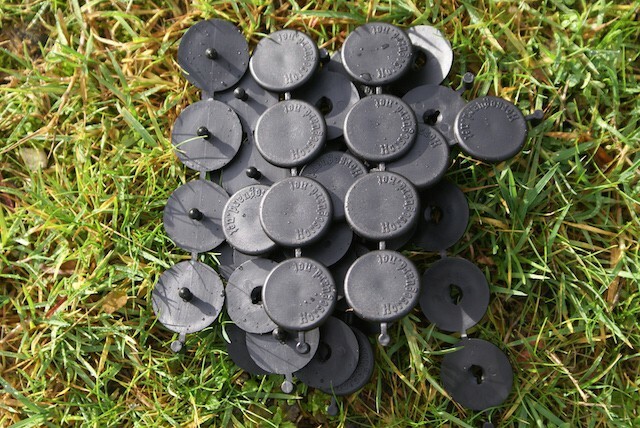 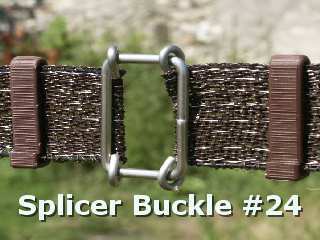 Make sure you keep a couple spare splicer buckles around, so that in the event of unexpected fence breaks, the tape can be easily repaired. 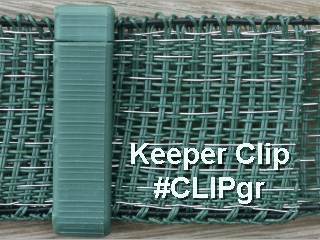 The keeper clip holds the ends of the tape. 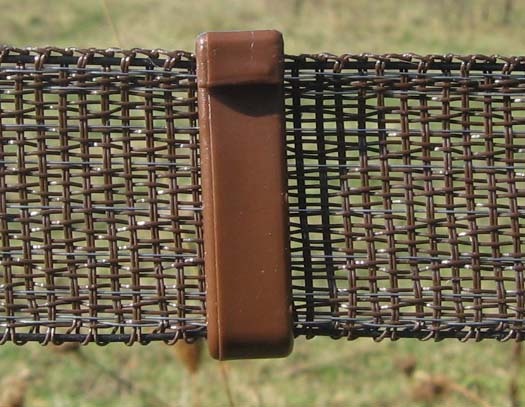 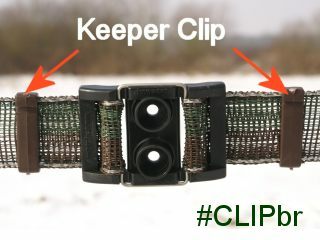 The Round Keeper Clip (Black) holds the ends of the tape. 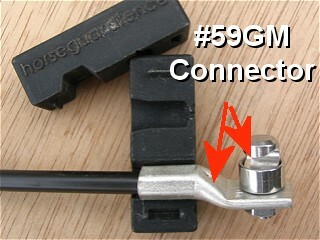 order #28M cable by the foot to your desired length along with a connector #59GM. 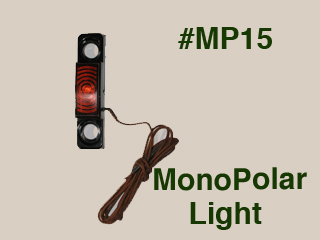 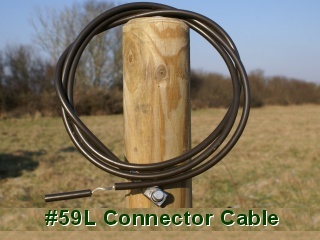 It transfers the power from one strand to the next. 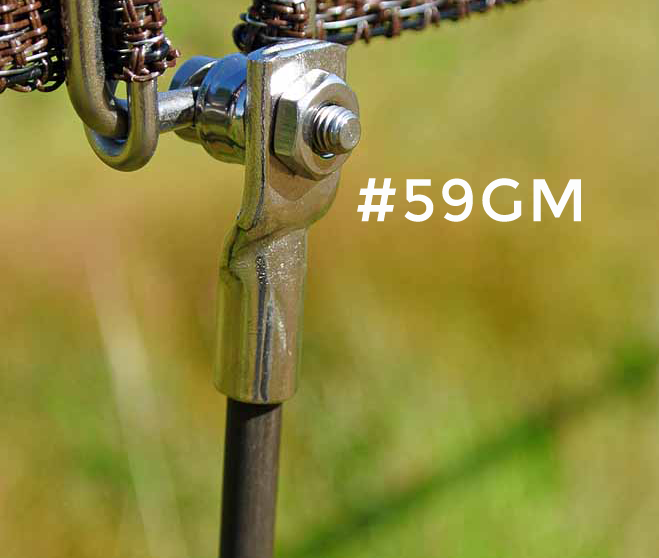 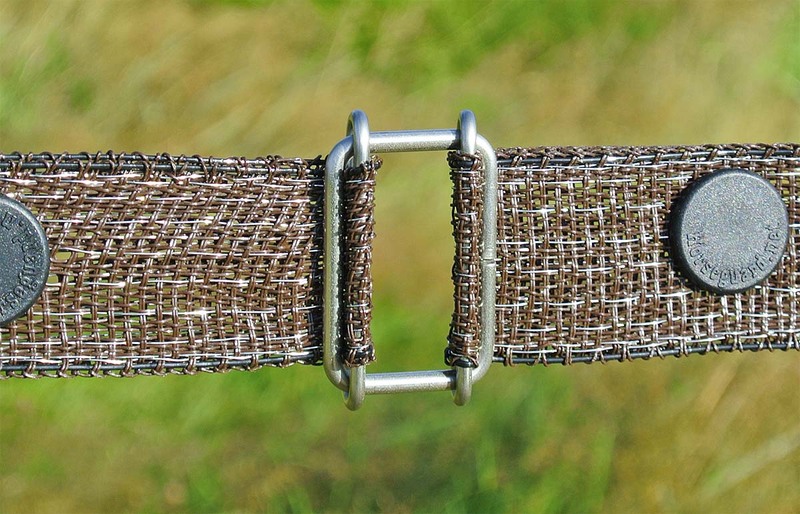 Connectors included at each end of the #59H attach to the buckles of #36W Tensioners. 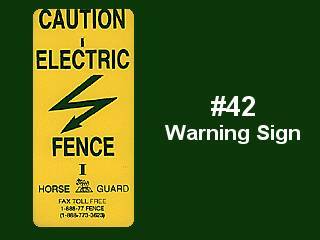 Warning signs are required by law in some areas and are both courteous and effective in discouraging trespassers. 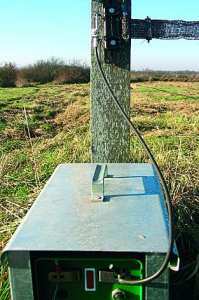 They should be set on post every 300 feet. 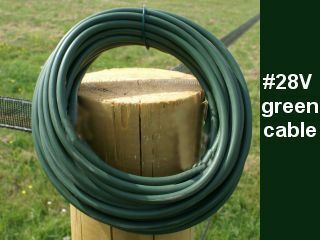 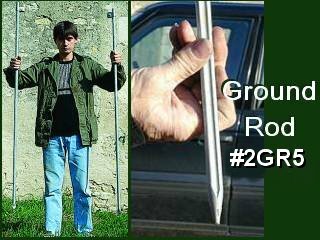 The 5 ft. galvanized ground rod comes with a clamp and is shaped to penetrate hard soil. 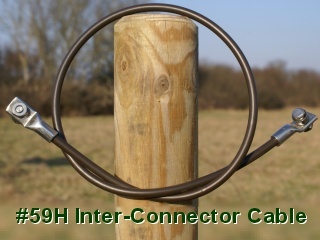 The ground rod connects to the negative terminal of your fence charger. 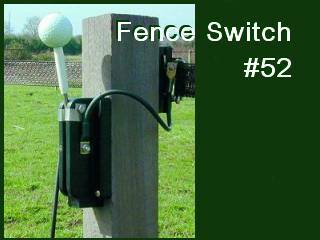 Attached to the gate post, it turns the fence ON and OFF. 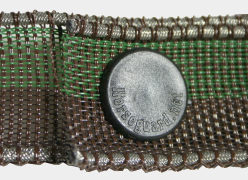 The golf ball has the big advantage of being visible from afar. 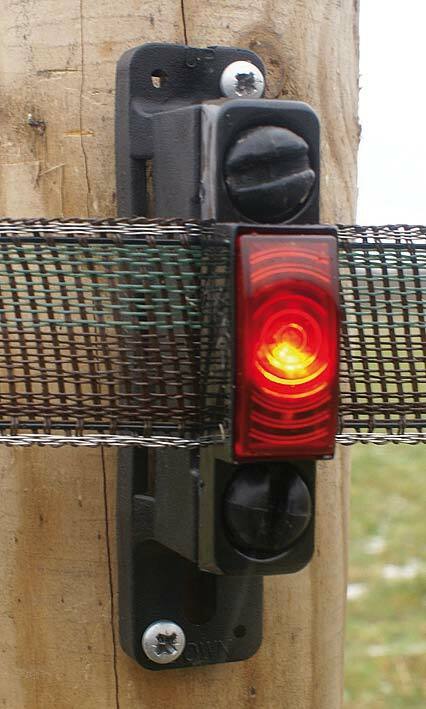 This little flashy light is great, you can see from the house what is going on with the fence. 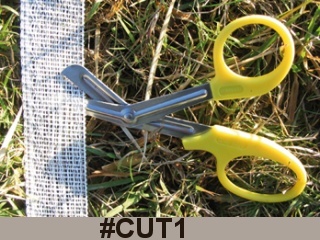 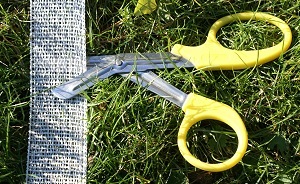 order the scissors with serrated blades.